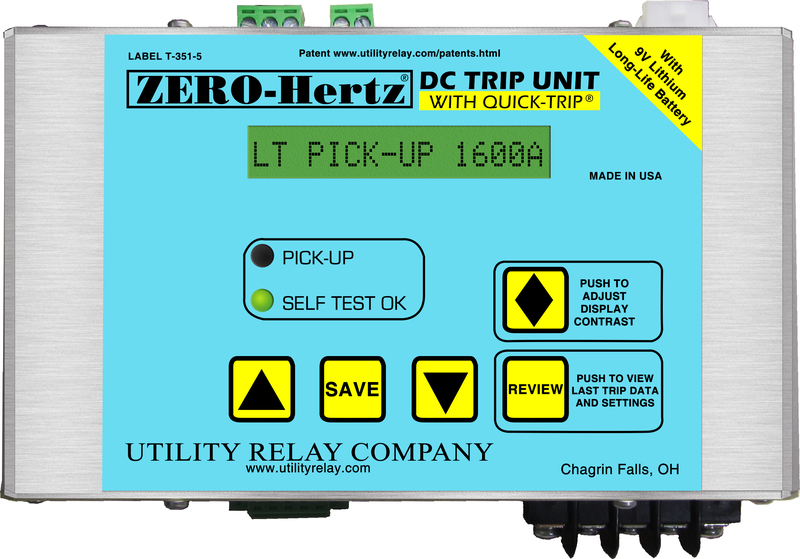 The ZERO-Hertz® trip unit is a solid state overcurrent device for use on one and two pole DC circuit breakers in voltage classes up to 1,000 volts. The ZERO-Hertz® comes standard with long-time, short-time, instantaneous, ground fault, and reverse current. All of the protective features except long time can be turned off to allow for greater coordination and flexibility of use. Programming of the ZERO-Hertz® is done using the buttons and 16 character backlight LCD display on the front of the unit. All settings are made in amps and seconds and an integrated security key prevents accidental modification of settings. The LCD displays the current during normal operation and shows the phase currents and type of trip after an event. The number and type of trip events along with the commissioning data are accessible at any time from the front panel. This data can also be cleared or modified at anytime from the front panel. 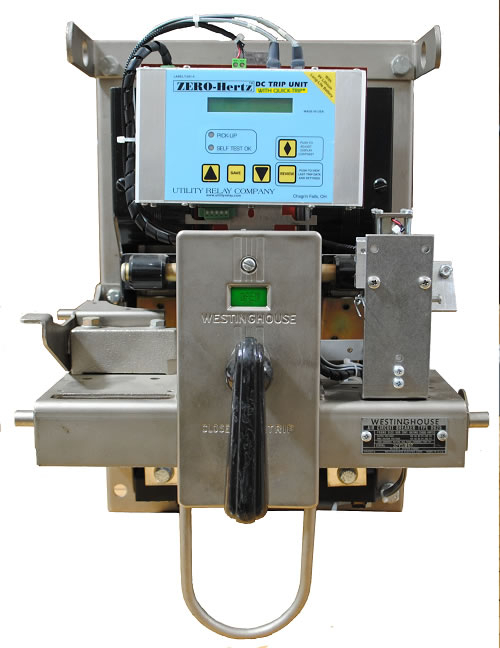 The ZERO-Hertz® also has a "SELF TEST OK" led that verifies the unit is functioning properly. There is also a "PICK-UP" LED that indicates when the current reaches or exceeds the long-time pick up value. 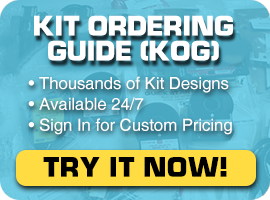 Retrofit Kits available for multiple breaker types. © 2018 Utility Relay Company. All right are reserved.